For many American children, summer brings a long-awaited vacation from school. But for others, it means no food until school starts again. Even federal programs designed to feed children during the summer only helps a fraction of those in need. 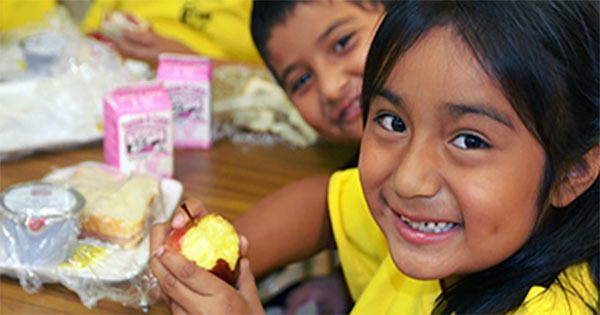 In the U.S., 21 million low-income children qualify for free or reduced-price school lunches. But what happens when school is out? How do these children get fed? In 1968, the U.S. government launched a program called Summer Food Service Program (SFSP) which was designed to provide nutritious meals to low-income children when school is not in session. The problem is that the meals are served at SFSP approved locations to which many children are unable to travel. When the program was launched, poverty was viewed as primarily a problem in large cities. However, poverty has changed and is now also a problem in rural and suburban areas as well. Many children are unable to get transportation to the food sites. In addition, the only areas that qualify as SFSP food sites are those where at least 50 percent of children qualify for free or reduced-price lunch during the school year. As a result, the program only benefits about 15 percent of the children who desperately need it. Changes are needed in order to feed hungry children from low-income families during the summer. One advocate group, No Kid Hungry, continues to push for changes that include delivering food to low-income areas, much like Meals On Wheels for the elderly. Lucy Melcher, the associate advocacy director for No Kid Hungry, believes these and other programs need to be enlarged in order to reach more hungry children.